The Manila International Airport Authority (MIAA) has vowed full cooperation in the investigation on the alleged theft of P50,000 worth of valuables from a Pinay balikbayan from Hong Kong. 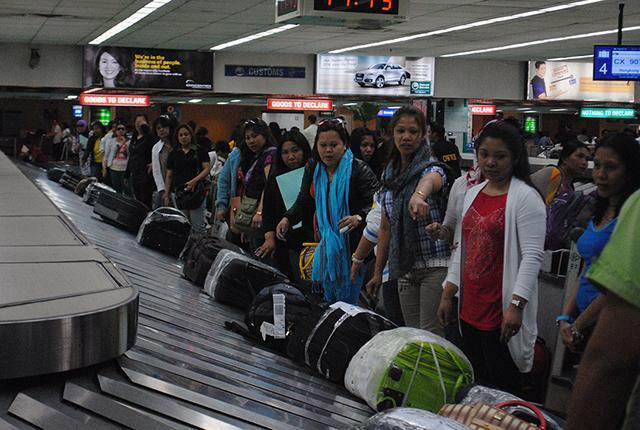 Birkerød At the same time, MIAA spokesperson Dave de Castro said passengers who have valuables missing from their check-in baggage should contact the concerned airline immediately. dejta gifta “Yung investigations natin ay primarily launched by the airline. Nakikipag-ugnayan tayo with the airline and any updates sa kasong ‘to would have to come from them,” he said. He added that MIAA provided PAL with CCTV footage and witness accounts to help with its investigation. While he expressed confidence in the capacity of their airline partners, De Castro said airport personnel are always on standby along with airline employees to address all passenger concerns.